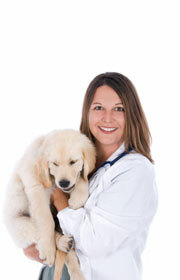 Choosing a veterinarian for your best friend takes planning and research. We have been very fortunate to have the same wonderful veterinarian for the last sixteen years. She has seen our dogs from puppyhood to their final breaths. She was there at two am when our three year old Yorkie found a box of tampons in the linen closet and proceeded to swallow one whole as we chased her to try and retrieve it. We were sure it would swell up in her stomach and cause major problems. All we had to do was leave a message on the Vet’s answering machine (which she has forwarded to her home) and within a very short time she called back and calmed our worries along with telling us what to watch for. Choosing a Veterinarian involves a lot more than credentials. A Veterinarian could graduate at the head of his/her class but if they do not love their profession and truly care for the animals they treat, you can get just as much help from a book or on-line. You want to choose a Vet that you and your pet are compatible with. And the Veterinary staff are just as important. Get recommendations from friends with dogs. your groomer or dog trainer. If you are new to the area, you can go on-line to www.pets911.com. Is the office clean, friendly and organized? Ask if the Veterinarian will be readily available for emergencies. We can’t always expect the Vet to be there 24/7 but within reason they should make themselves available. Will they work you in immediately if needed? Just like kids, dogs don’t get sick on schedule. 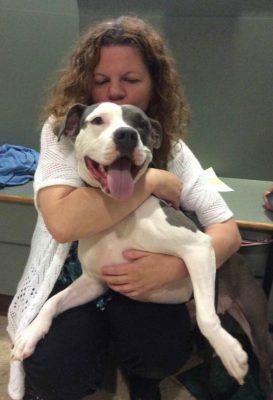 Are there other Vets or Vet Techs in the office or will the Vet have a referral Vet available if she is out of town? While all professionals want and should have their fees immediately, will she work with you in an emergency? Of course, this arrangement usually comes with time as you build a relationship. You just don’t want a Vet that refuses to treat without payment. Does the staff show love and concern for the animals? Does the kennel room smell and look clean? Can they do x-rays, ultrasound, blood work and other diagnostic tests in-house or work with an outside specialist? Is their fee schedule reasonable? Will the Vet take time to explain each diagnosis and procedure or rush you through to get to the next appointment? Do they have an overnight staff to keep watch over pets that need to be hospitalized? If you are interested in holistic medicine, does the Vet share this approach? If you are interested in pet insurance, does the Vet accept it? Take time when choosing a veterinarian for your dog. Introduce your dog to each prospect and observe the interaction. Don’t hesitate to ask for references and check them. Your dog’s health care is an important decision. Take it seriously and choose a veterinarian before you really need his services. Make sure the Vet you select is as concerned for your dog’s health as you are. We just adopted a new dog, and we wanted to make sure that we chose the right veterinarian. I really like that you say to make sure that the staff shows love and concern for your animal. In my opinion, that shows that they are willing to help you, and care about how your animal is feeling.